Have you noticed that Christmas is starting? Home / News and Comment / Have you noticed that Christmas is starting? I have noticed that shops are starting to have that slightly Christmasy feel. For a couple of weeks, Next have had their Christmas wrapping paper near the tills, which when you are queuing does make you start to think about Christmas and gift buying. It is a clever way introducing Christmas to their customers, after all, customers may not have noticed Christmas paper in a corner display in their store. John Lewis have also put their Christmas pages online and these start with Christmas Decorations and Trees. I expect there is little that makes us feel more Christmasy than a beautifully decorated Christmas Tree. I am not entirely sure when Christmas Trees started to have a theme, but I have to say I really like it! 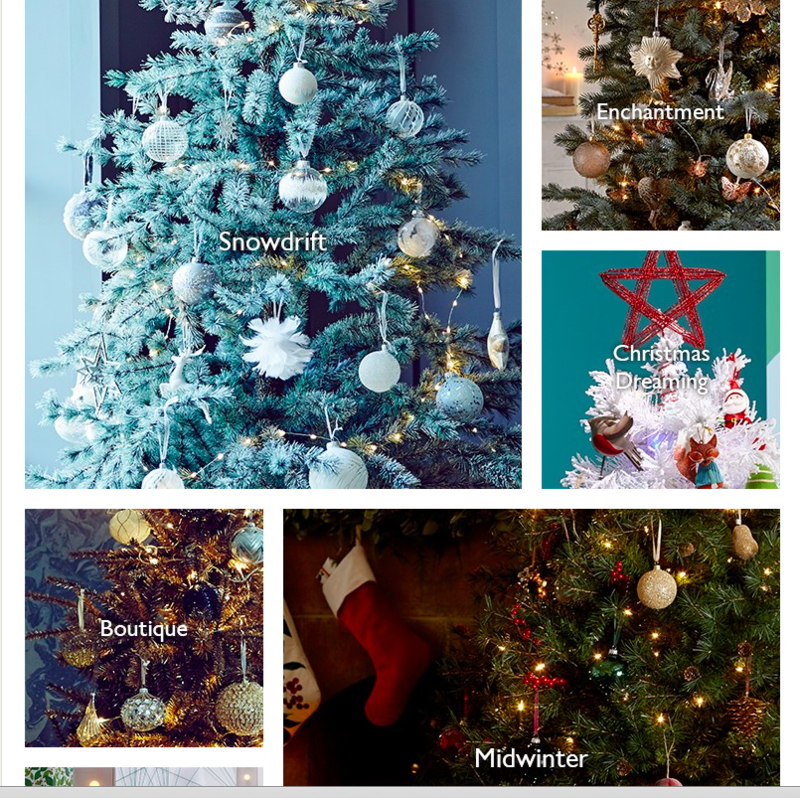 Which one is your favourite Christmas Tree them below? I am torn between Enchantment and Midwinter.